The most commonly used mortgage product is a 30 year fixed rate mortgage. Traditionally fixed mortgage is the most conservative product and homeowners prefer its stability. There are many benefits of using a fixed rate mortgage. 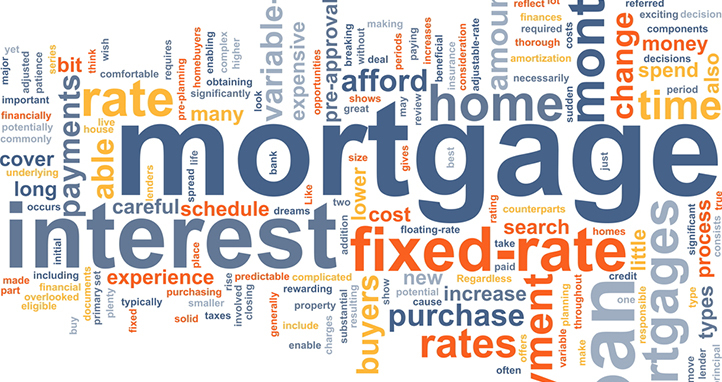 Typically the advantages of using a fixed rate mortgage outweigh the disadvantages. Read below to see if these benefits suit your financial needs. A fixed rate mortgage means the same interest rate and payment throughout the life of the loan. You can make long term financial plans due to the certainty of your payment remaining the same. A fixed rate mortgage is easy to compare amongst lenders because it is a standard loan product. Fixed mortgage can help you get the best loan terms and rates. The amortization of a fixed rate mortgage allows you to steadily build equity and you avoid any negative amortization. There are a few different amortization schedules to choose from. The most common are 15 and 30 year loans. Many homeowners have greater peace of mind with a fixed rate mortgage. Many people just want the financial security of never worrying about their mortgage payment changing. The loan terms of a fixed mortgage are easy to understand. Homeowners can reasonably understand the amortization schedule of their loan. Shorter term fixed rate mortgages offer very competitive interest rates and the ability to pay off your home in a relatively short period of time with fixed monthly payments that won’t change or no large balloon payment due at the end of the loan. A fixed rate mortgage is one of the best mortgage products available to homeowners today. It is a mortgage product that is easy understand. The process to get approved for fixed mortgage is straightforward and it is a great solution to buying a home. If interest rates are steadily rising or predictable monthly payments a fixed rate mortgage is the way to go.